To improve overall speed, agility and strength, many athletes often turn to CrossFit for exciting and challenging exercises. 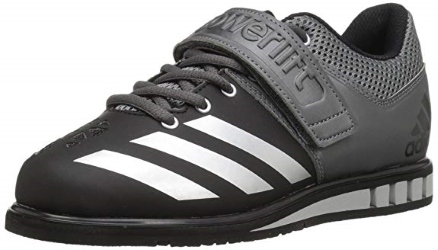 So whether you are a casual cross fitter, or you are one of those who takes cross fitting as life, you will definitely need an excellent pair of CrossFit shoes. Also wearing an ideal shoe for CrossFit can make a significant difference in your performance and comfort. A conspicuous and desirable feature in CrossFit shoes is a wide toe box, which enables the toes to spread and thereby distributes your weight. Some other features to look for in these shoes include firmness, lightweight, flexibility and stability. What Makes the GOOD CrossFit Shoes? There are so many brands of CrossFit training shoes available in the stores for runners. However, getting the right ones that fit your needs and comfort can at times get very difficult. So, we have hand-picked ten amazing CrossFit training shoes and listed them below. This Nano series is designed to perfectly fit the anatomical frame of the feet. It also comes with the Kevlar-infused upper that makes it efficient and lightweight. This shoe’s compressive midsole also provides adequate cushioning and shock absorption for proper aeration. The insole of this shoe can be removed to quickly switch to orthotics or some other customized insole. Its new anatomical design offers maximum thickness, stability that a natural fit. Finally, the compression-molded midsole makes this model fit for various forms of exercises. For instance, its cushioning and firmness make it a right pick to perform both box jumps and squats. This Nike’s model is designed to be stylishly lightweight and at the same time allows seamless movements through different workouts. It comes with a supportive heel and strong sole that offers stability for lifts and squats. For optimum balance, the toe box does a good job as it offers a firm grip and quick movements powered by its forefoot flex grooves that allow natural flexibility. Also, it provides maximum cushioning to counter impact during sprints and jumps. 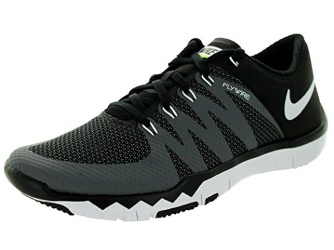 Plus, it features a Flywire structure around the midfoot that gives optimum support to prevent slipping. Above all, it is considered to be a perfect fit for box jumps and push-ups because of its zero-drag heel. 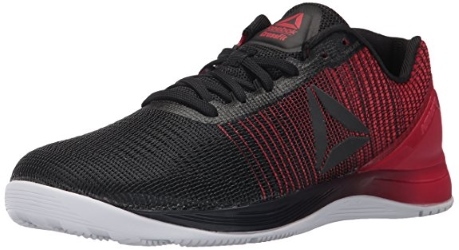 This CrossFit shoe is specifically made for weight-lifting as it helps maintain the right posture even when athletes get heavier. 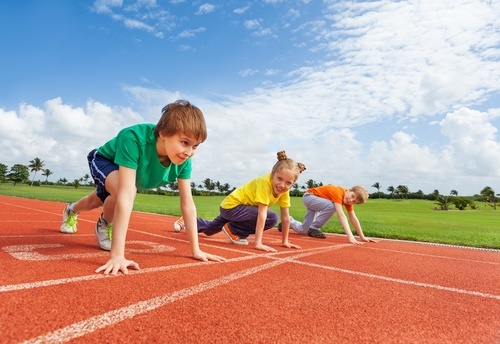 That helps you remained focused on each movement. Also, your feet are kept grounded by the combined workings of its ¾ inch heel height and a flexible hook and loop strap. It features a breathable mesh upper that ensures proper air ventilation to keep the feet cool and dry. 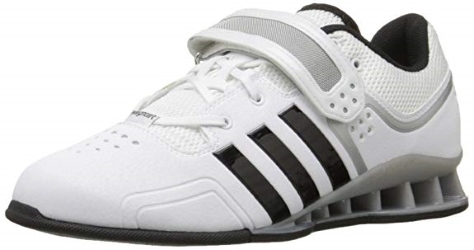 Above all, this shoe hasextra strength and stability due to the lightweight polymer is injected into it. Also it comes with the VentFlow openings to further maintain the shoe’s temperature during workouts and lifts. Finally, it has a beautiful design and comes in assorted colors. This CrossFit footwear is designed to give a barefoot feel to athletes during CrossFit training periods. This shoe is lightweight and offers enough breathability and support. 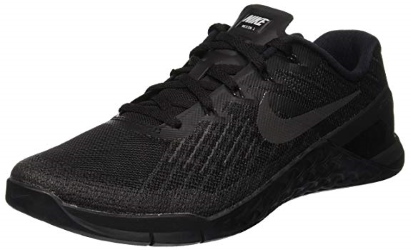 Also its piston technology on the outsole makes it suitable for both casual trainers and professional cross fitters. Further, the outsole provides enough shock absorption to run without stress and also to maintain stability while weightlifting. Its midsole contains a ductile hexagonal pod that gives different levels of flexibility during the various exercises. This edition of the Nano line is a versatile yet secure trainer for those athletes who want to rip it off. That’s because this shoe offers better stability for lifts than its earlier editions as it comes with a heel piece and a heel drop. Also, this shoe features an anatomical toe box and multi-directional grip while doing lifts, jumps, and squats. Besides that, its nanoweave upper design offers enhanced durability and a comfortable fit. Its 360-degree TPU heel-lock wraps around the feet in order to promote stability. Although the Nanoshell might initially seem rigid, but with patience and over time, it will definitely assume an excellent level of stability that hinders no movement. This trainer is one of the lightest cross-training shoes available in the stores. 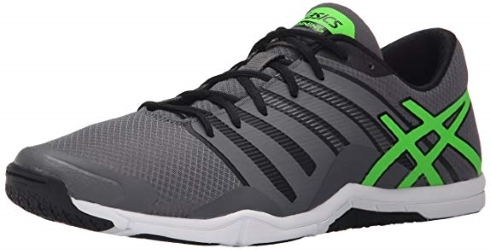 Although this shoe weighs about 8.8oz, it offers top-of-the-line cushioning, flexibility, durability and shock absorbance. It is also useful for those who indulge in aerobics and lifting exercises for the reason that it uses the SpEVA ASICS’ proprietary midsole technology. As a result, it is a lightweight design with a slim body and comes with a 4mm forefoot and 7mm heel. Its outsole contains AHAR compound which is fifty percent more long-lasting than the regular AHAR. To ensure that this trainer stands out from the rest, ASICS uses several different technologies. Its proprietary SPEVAFOAM improves the midsole’s durability and enhances rebound while COMFORDRY sock liner offers comfort, cushioning and moisture-wicking features to prevent odor. This FiveFinger Vibram is best known as an asphalt specialist as far as jumping, sprinting and running are concerned. Above all, its barefoot feel makes it a perfect fit for aerobics and CrossFit training. Also the traction is strong and has high responsiveness. Further, its thick sole is great to absorb impact and flexible enough to optimize every gait and jump. This shoe is also very agile and offers a great amount of shock absorption, flexibility and balance. Besides, its unique individual toe boxes provide a high level of comfort. As a result, its optimum level of shock absorption and cushioning minimize pain and give that barefoot experience during training. Puma fierce is a multipurpose shoe designed for women. 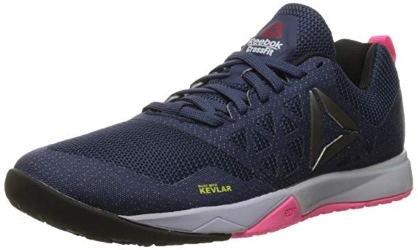 This pleasant looking women’s trainer offers a high level of comfort for cross training and aerobics. Further, it provides enhanced stability while working out because of its extra bilateral sole thickness. 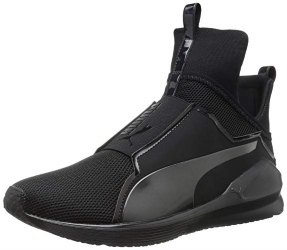 Puma Fierce is made from many breathable and lightweight materials that make it extremely comfortable. This shoe’s Ariaprene upper allows proper air flow to prevent accumulation of heat in the insole. Finally, this model comes with an internal flatlock stitch that gives enough stability by reducing friction. This Adidas model is designed to be an improvement over the previous editions. It comes with a rubber outsole that prevents slipping by providing strong and secure traction. Also this shoe’s lightweight leather upper offers additional support to the ankles. Its toe box is flexible and its open forefoot structure works perfectly well to give maximum performance while its well-built midsole supports full weight-lifting. Its high density, die-cut midsole wedge ensures optimum stability while handling heavy weights. This improved version gives that anatomical shape of feet with a roomy toe box. This model is loaded with all the necessary features required for cross training and weight-lifting. It offers forefoot flexibility, solid grip, stability and versatility. Also it aids optimum performance without much efforts as it is lightweight. Further, sturdy bilateral stability and a solid basis is provided for every lift because of its external heel cage and its proprietary power-truss technology. The Metaflex technology that’s inserted in the forefoot gives additional comfort. Finally, this trainer is worth every cent because it offers great value and quality that matches-up to its price. Shock Absorption – The best CrossFit shoes should be able to absorb impact even as you do the most rigorous exercises. The shock absorption system is the best defense against the shock of impact created when the feet hits the ground. Traction – CrossFit requires shoes with an excellent grip for the physically demanding exercises and motions involved in it. Flexibility and Comfort – Cross-trainers need an optimum level of comfort to enhance your performance. A CrossFit shoe should, therefore, be able to give both vertical and lateral flexibility. 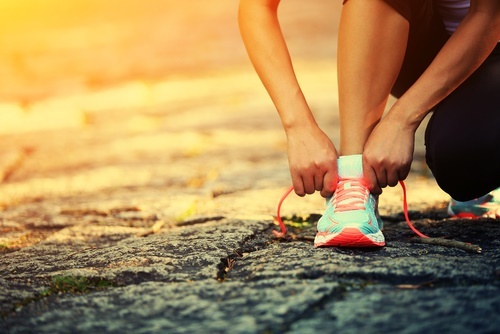 Breathability – Lack of proper air ventilation around the feet can cause the feet to be prone to irritation, which often hampers performance. It is, therefore, necessary to always consider a breathable sneaker for CrossFit activities. Grip and Stability – CrossFit trainers should be sturdy and stable to provide the best running experience. However, the grip of a trainer depends on many factors. For example, the training terrain has a direct impact on the grip’s effectiveness. 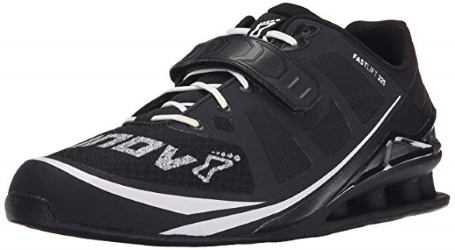 Most importantly, you must know that the best CrossFit footwear should have a grip that supports rope climbing, jumping, squatting and weight-lifting. 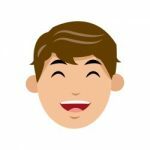 CrossFit is an assortment of lifts, motions and exercises that include a series of functional motions from various sports and activities such as running, weightlifting, squatting, gymnastics, rowing and much more. As a result, these multifaceted exercise routines require a pair of trainers that are supportive, flexible and durable. That’s to ensure a high level of performance with lower risk of injury. Therefore, you may make a choice from the above-listed products. It is a compilation of trainers to enable you to deliver the peak performance that you desire.